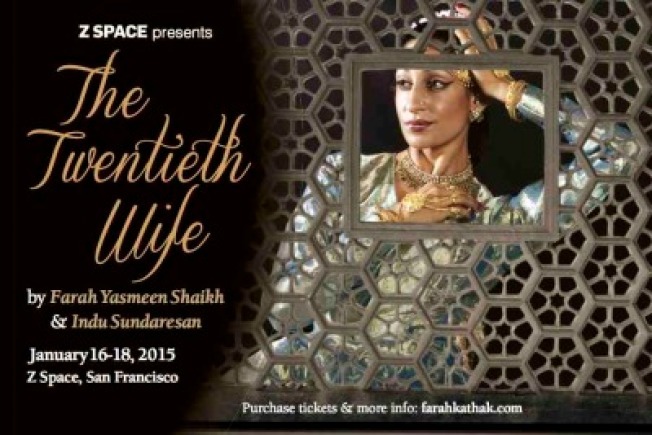 Kathak artist Farah Yasmeen Shaikh and author Indu Sundaresan have come together to present The Twentieth Wife, a tale of one of India’s most powerful woman, Empress Noor Jahan told through dance, live music, multimedia and live narration at the Z Space in San Francisco. Noor Jahan was the twentieth wife of Emperor Jahangir and lived in the imperial harem, a secluded area for women of the imperial household. The story of her life is her struggle to maintain the delicate power bestowed upon her by her husband, who trusted her more than anyone else. This beautiful collaboration by Farah Yasmeen Shaikh and Indu Sundaresan brings you an artistic and unique perspective of The Twentieth Wife. There are three shows you can attend from January 16, 2015 through January 18, 2015. Tickets begin at $35.